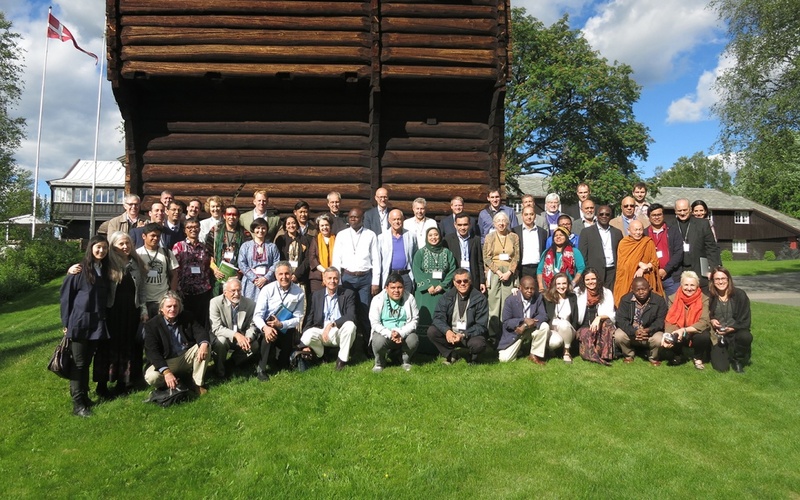 We, people of many faiths and spiritualities, gathered in Oslo to hear the cry of Earth’s rainforests, their flora and fauna, and the people who live in them. We are Indigenous, Christian, Muslim, Jewish, Hindu, Buddhist, Daoist, joined by scientists who share with us, and open for us, a deeper appreciation of the miracle of the forests. 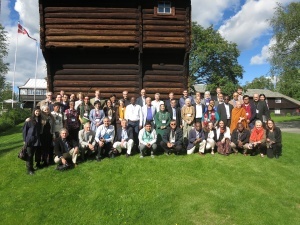 We are from 21 countries – from Amazonia, the forests of Indonesia, the Congo Basin, Meso-America and South and Southeast Asia and the Pacific Islands, and from the US, Canada, Europe, and China. While from many places, we recognize that we are one human family, that we share one Earth. These glorious forests make our lives possible. They provide clean air and abundant water. They store carbon and stabilize the climate around the globe. They provide homes, food, medicines and livelihoods for hundreds of millions of people. They are dependent on the health and well-being of their indigenous and forest-dwelling peoples, just as these peoples, and all the rest of us, depend on the forests. We are in this together – humanity and forests, people and planet. If forests thrive, we will thrive. Without forests, we all perish. 1 This statement is addressed to leaders in government and business, to leaders and followers of our spiritual and religious traditions, and to the wider human family. Earth’s rainforests, just as the forests care for us. We embrace the responsibility for ongoing action which that entails. We commit to form an international, multi-faith rainforest alliance, devoted to the care of these forests and the people who protect and live in them. We pledge to rally our spiritual and religious communities to act. We will train our leaders and educate our followers about the urgent need to protect rainforests, sharing the insights of traditional knowledge and science in the service of truth, knowing that without protecting, restoring and sustainably managing forests, we cannot save Earth from the ravages of climate change. We will advocate for the restoration of rainforests and the rights of indigenous peoples, sharing with leaders in government and business that protecting the forests is a moral duty, and that failing to do so is an offense against life itself. We will support indigenous and forest peoples to assert and secure their rights, including their free, prior, and informed consent to development on their territories. We will advocate for increased access to finance for the ongoing protection of rainforests. We will work for an end to the criminalization of forest protectors and for their safety. Finally, we pledge to continue to work together, to strengthen our resolve, and to act boldly in the months and years to come. A spirit of compassion and truth has been with us as we have met. This spirit awakens hope. It calls to us. We have listened together and learned together. In this statement, we have spoken together. Now, we will act together. For the sake of the rainforests and the peoples who live in them, and for the future of the planet, we commit to respond.